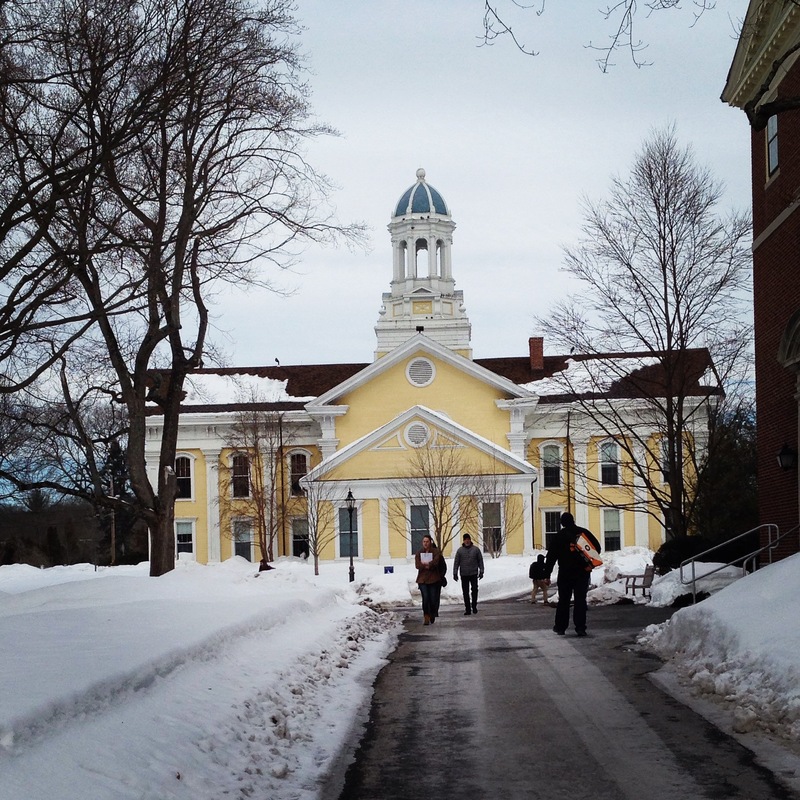 Recently I had the opportunity to spend the night at Wheaton College in Norton, Massachusetts. As part of their overnight program for admitted students, I was able to stay overnight on campus with a student host and then attend a class the next morning. I was pretty nervous beforehand because I had never been to an overnight program like this before. And what if I didn’t like the campus or the feel of the school? I haven’t committed to any schools yet, but Wheaton is high on my list. If I didn’t like it, where would I turn next? Or what if my student host wasn’t friendly or helpful? These worries raced through my mind as I arrived on campus, ate dinner with my parents, and then was sent on my own to experience a night at college with my student host. I could not have had a more friendly, helpful, kind student host! She showed me all around the beautiful campus, brought me to the student-run cafe, and even let me explore the impressive library. She gave me so much great advice and information about Wheaton and college life in general, and overall made this experience an incredibly positive one. 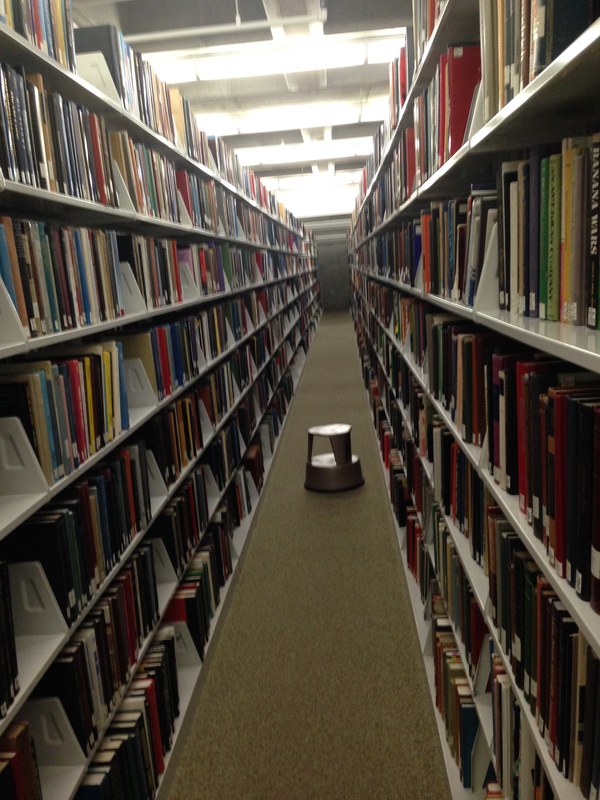 I loved the stacks… so many books! After breakfast the next morning I headed off to class. We had a wide variety of classes that we could choose to attend, but since I already attended a literature class at a different college I thought I would pursue my other interest: Spanish. Fortunately, the professor was enthusiastic, friendly, and even came over and spoke to me in Spanish for a little bit. Attending the class has made me feel so much better about possibly being a Spanish major in college. There are so many things that I love about Wheaton: the sense of community, the variety in academic programs, and the beautiful campus, of course! I haven’t committed to a school yet, but Wheaton College is definitely one of my favorites! How did you decide which college or university to attend? If you’re still in high school (like me!) how is your college search going? Let me know in the comments section below! So glad you had a good time! I did an overnight at the college that I wound up choosing, and it was a great experience. I’m glad it went so well for you! 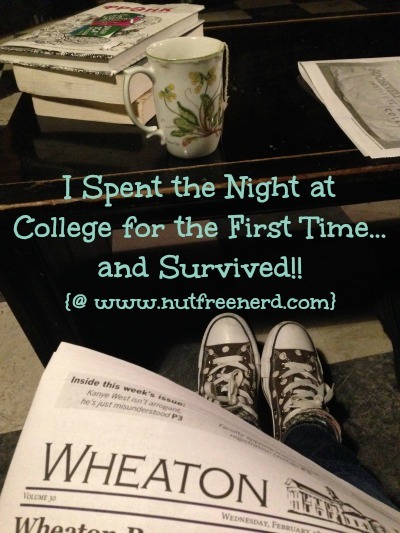 I stayed at the college I ended up picking, which was my first choice at the time, and where I ended up going! Thanks! 🙂 I’m really glad that I decided to do it- I was definitely nervous for nothing! I did an overnight stay at the first college that I went to and I was super nervous, too. It ended up going really well and I went there, but I transferred after a year. The thing about college is that you’re still relatively young and no decision is ever final, so don’t stress too much. Go with your gut and where your heart takes you and you’ll do fabulously! I think your major is more important than your college. You gotta choose that wisely. In terms of choosing a college, list down things you really want in a college and see if the college meets those requirements. Do not neglect your gut feel too! So glad you have a good time! Good luck in future endeavors! That sounds so incredible! When I was younger, I went to this weekend program at a university. And although I never ended up going there, I’m glad I went for the experience. It was well worth it! im so glad you had fun! this kind of programs make you realize how college life is and it is great! I went to Wheaton and it was the best decision of my life! Wheaton cares about every aspect of your college experience. You will love it. Holly, how crazy! Wheaton is mere miles away from where I live – I’m so glad you enjoyed your stay in snowy Massachusetts 🙂 I have a few more months until I have to start thinking about college, but I’m strangely looking forward to the process. I hope the rest of your college search finishes off well!